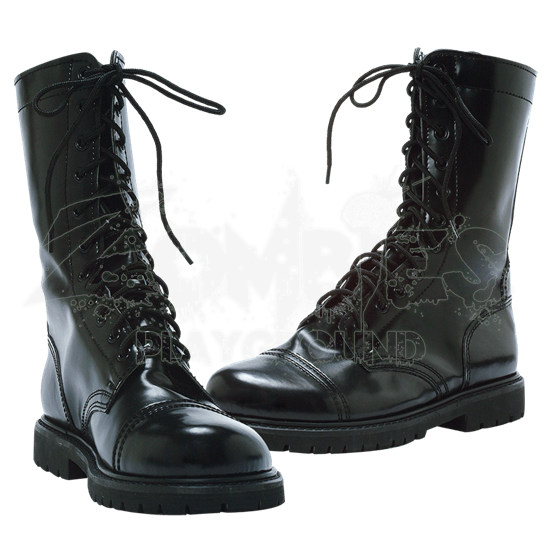 Nothing says hard military style quite like a shiny pair of polished black boots! And with these Classic Combat Boots in your wardrobe, you will have a pair of combat boots that can complete your ideal hard-edged outfit, to wear whenever you want. Reminiscent of the first pair of boots that a soldier might get, these boots are designed to go anywhere and do anything, and in doing so, keep you trekking on, in both style and rugged comfort. The boots are designed to rise up to about mid-calf and feature a long tongue with a fully laced closure. Made from synthetic leather, the boots are also quite hardy, and are adorned with touches of stitched design that give them an authentic and appealingly classic look. The boots also feature good tread on the bottom, as well as a short heel to provide for a more comfortable walking and hiking experience. Every soldier knows that good boots are a must-have, and now, you can echo that philosophy. 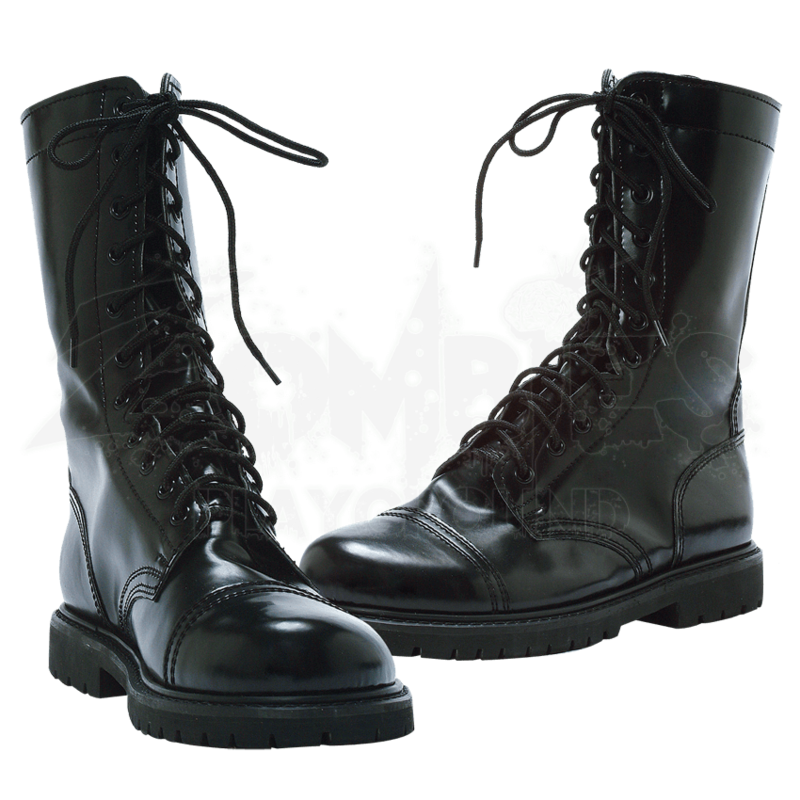 And luckily, you do not have to look far for good boots, because these Classic Combat Boots will fit that description down the very letter. Standard US Shoe sizes. Runs true to size - these are not available in Wide or Narrow, just Standard.